Hey gang, here’s the first of four Longtrail-related beer reviews. I recently picked up their new Farm House IPA Sampler 12-pack, which is sadly only available in Vermont for the time being, and was quite impressed. I’ve been tasting all four offerings over the past week and jotting down my thoughts. Here’s my take on Longtrail’s Black Rye IPA (ABV 6.3%), which is only offered as part of the sampler as far as I know. The hoity-toity: A nice frothy mocha-colored head bubbles up from this inky black pint, delivering pungent pine and fragrant citrus blasts to the nose that smell simply divine. The first sip is loaded with hop flavor, packing initial piney and grapefruit notes without being overly bitter. Beating a hasty retreat to the background, the hoppy flavor transitions to a deceptively smooth plateau of rye that’s perfectly balanced. It’s not too sweet or excessive in any way, and the fading hint of coffee in the finish pairs perfectly with the last residual of fading hops. 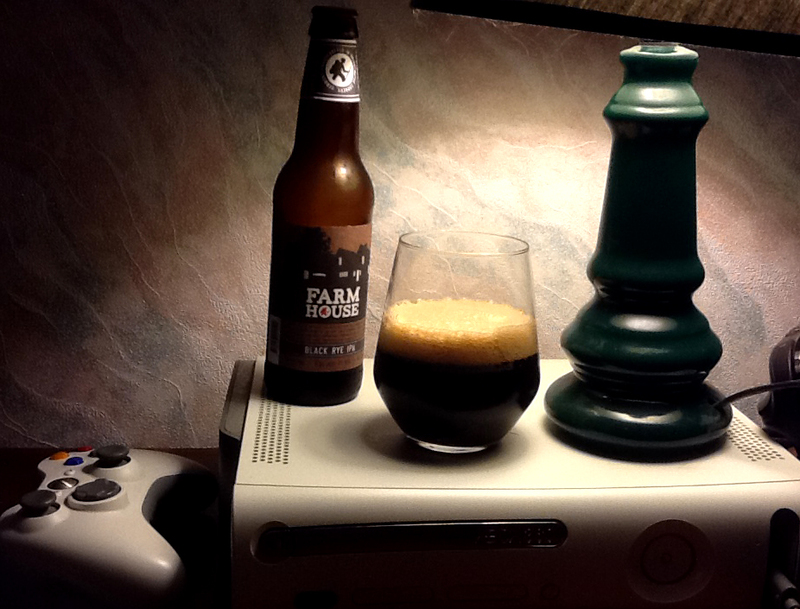 The straight shot: Damn this is a nice black IPA. Not as bold or palate crushing as some I’ve tried. More mellow in flavor than Otter Creek’s VT-based offering, but far more fragrant too, which is a big plus in my book. Balanced and tasty with a biiiiig hoppy nose. This entry was posted in Beer Nerdistry and tagged beer, beer nerdistry, beer review, beer reviews, black rye ipa, craft beer, freelance, geek, ipa, longtrail, nathan meunier, writing by nmeunier. Bookmark the permalink. little bit of it and I havce you bookmarked to see new information on your website.